The pohutukawa grows best by the sea along New Zealand's North Island. 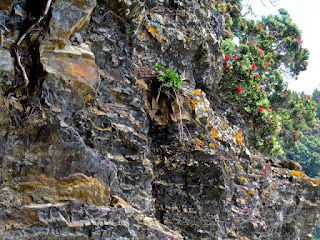 Massive, dome shaped branches and powerful roots pressed deeply down into rocky sea coast cliffs, allow it to withstand storms that blow in from the ocean. 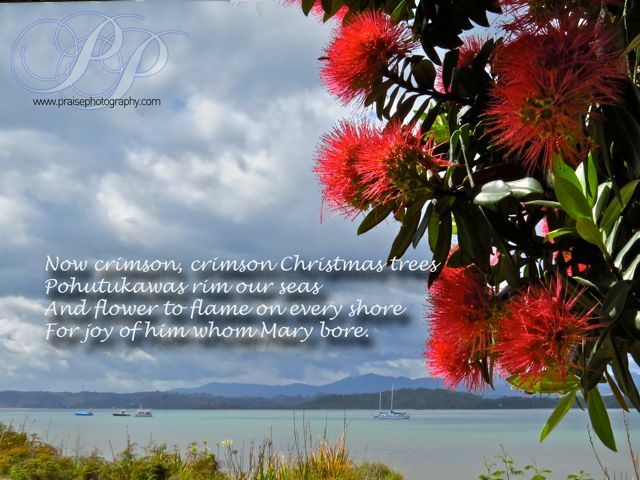 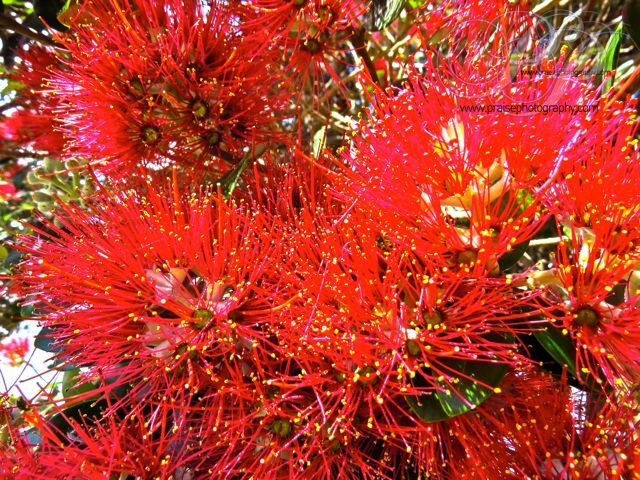 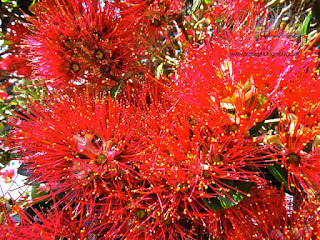 The pohutukawa belongs to the myrtle family, which includes the eucalyptus. 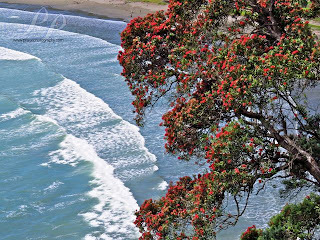 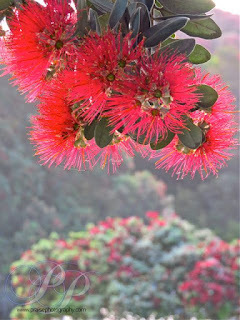 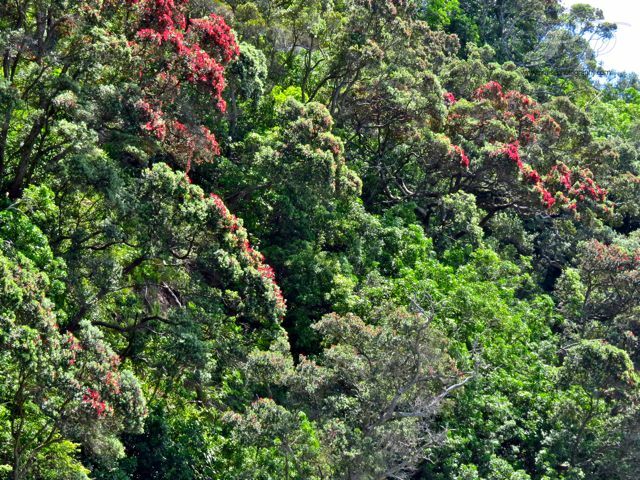 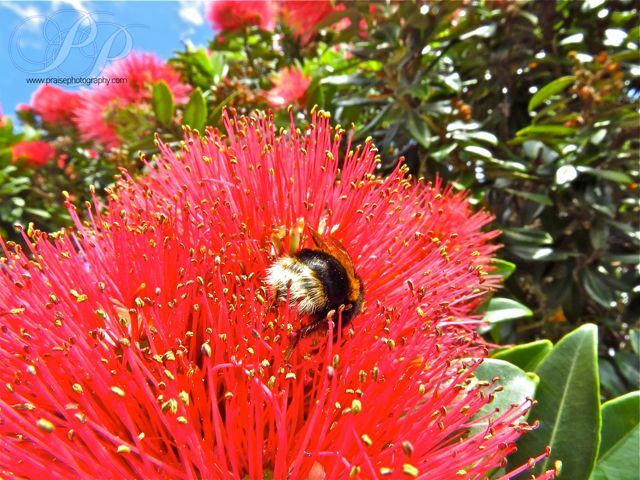 The botanical name for this tree is Metrosideros excelsa, an apt name which translate as "iron heartwood sublime," an apt description for the strength and beauty of New Zealand, Crimson blossoms burst forth on trees along the shore and on hills above in December, giving it the name of the New Zealand Christmas tree. 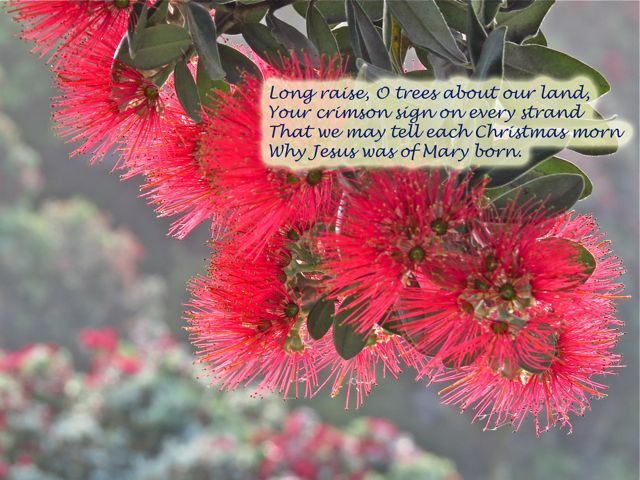 The tree has inspired a Christmas carol. A couple of the pictures I have posted contain the lyrics.